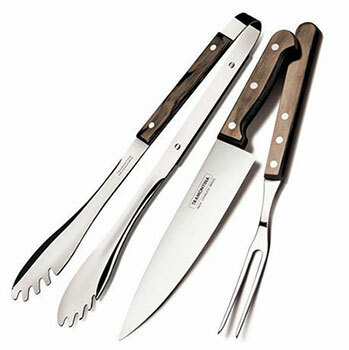 We have premium quality wholesale Tramontina tableware stock including steak knives, cutlery sets, tableware sets and stainless steel cookware for sale at reduced prices. For the garden we also have wholesale stock pallets of barbeque tools such as wooden serving boards, grills, spatulas, tongs and other utensils. For the discerning gardener we have some superb machetes which would be ideal for land clearing.